1870 - A group of freed farmers and small landowners wanted to establish a church in their community. They purchased property, which was part of Snowden’s Manor, from a black landowner, Sarah Watts and erected the church on Good Hope Road between New Hampshire Avenue and Briggs Chaney Road. The original building was a frame structure with a sanctuary and a gallery located in the rear. The original deed was signed by Trustees John S. Powell, Tom Steward and Sam Jones. The church was named Good Hope Methodist Episcopal Church and was part of the Sandy Spring Charge associated with the Washington Annual Conference for Colored Methodists. 1904 - Some of the members of Good Hope could only attend church by walking. Because of the distance they wanted a church closer to their homes. In 1904 Stewart’s Chapel Methodist Episcopal Church was built in the White Oak area. The church was named in honor of Thomas A. Steward the donor of the land on which the church was built. The two churches Good Hope and Steward Chapel became sister churches on the Colesville charge, sharing one pastor. 1925 - The first parsonage built during the pastorate of Rev. Benjamin Gross. Mr. Caleb Adams organized the Usher Board. 1937-1941 - Under the pastorate of Rev. Lanneau L. White: Both churches were painted on the outside. Stewart’s Chapel was calcimined inside. A new ceiling was put in Good Hope Church. The parsonage was renovated inside and out. New furniture was purchased, electric lights and a new sanitary toilet were installed. 1937 - Men and Women Clubs (presently known as the United Methodist Men and United Methodist Women) were organized. 1939 - The General Conference in Kansas City dropped the names Episcopal and Protestant. The church name was changed to Good Hope Methodist. The first choir was organized with Mr. Henry Boston as the Director, Mrs. Araminta Hansborough-Garner as the organist, Mrs. Josephine Davenport and Mrs. Mildred Campbell as assistants. 1964-1968 - A new parsonage was constructed during the pastoral leadership of Rev. Julian O. Grayson. The old parsonage which stood behind the newly constructed parsonage was torn down. 1968 - The Methodist Church and the United Brethren Church became unified. From the unification Good Hope Union became Good Hope Union United Methodist Church and a member of the Baltimore-Washington Annual Conference. 1968-1971 - With Rev. William T. Norman as pastor, the church paid off the mortgage for the parsonage. 1973 - During the pastorate of Rev. Dr. Emma P. Burrell the church was remodeled. Paneled walls and carpets were installed. The entrance foyer was resurfaced; brick façade added to the outside; new pews were purchased through donated funds from members; new choir rail was installed; the heating system was changed, and air conditioning was added. 1981-1990 - With the appointment of Rev. Donald C. Adams an additional room, referred to as the Sunday school room, and kitchen were added to the church. 1990-1993 - Recognizing the need for church transportation, during the appointment of Rev. Douglas V Logan the first church van was purchased. The church also received a sizeable bequest from the estate of long standing members, Patrick and Inez Brooks. Plans were put into motion to build a new church across the street. Building committee was formed. 1993-1996 - As the pastor during this time, Rev. Burton Mack implemented the use of computer technology to automate record keeping for financial and membership information. Church members along with the Rev. Mack testified before the Park and Planning Commission of Montgomery County to secure permission to build a new edifice. Interviews of prospective architects were conducted. 1996-2000 - During the pastorate of Rev. John R. Brown Phase I of building project was begun and completed. Paul Warner and Dustin Builders were selected as the architect and the construction company respectively. The ground-breaking ceremony for the new church was held August 1997and the construction of the new edifice began July 1998. Congregation, friends and dignitaries marched across the street singing the hymn “We’re Marching to Zion” as we entered the new facility November 1999. 2000-2005 - Phase II of building project was completed under the pastorate of Rev. Dr. Ianther M. Mills. This phase included a first-floor banquet hall, a commercial kitchen and an upstairs area that can be completed for future growth. Several grants were secured from the conference to accomplish the following initiatives: the purchase of trees for reforestation required by the county to replace trees removed during the building process and the purchase of equipment and furnishings for a computer room; installation of satellite feeds for use by GHUUMC and other churches; the Good Hope Shalom Ministry, a nonprofit organization was established. The former church, across the street became rental property. 2005-2012 - The church loan was refinanced to lower the interest rate and monthly mortgage payments during the appointment of Pastor Jackie Jones Smith. Additional Bible studies formed including a weekly study via internet and webcam. Good Hope Union became active in community organizations: Action in Montgomery: advocated for sidewalks along Good Hope Road from New Hampshire Avenue to improve pedestrian safety; Habitat for Humanity: participated in construction of a home in the Burtonsville area: and the Silver Spring Interfaith Housing Association. Young Adult choir, Anointed Praise was formed. The parsonage, no longer being occupied by appointed clergy, became a rental property. 2012-2016 - The church loan was again refinanced at a substantially lower interest rate during the appointment of Rev. Dr. Stacey Cole Wilson. The formation of community partnerships was initiated and small groups, notably the Couples Ministry, the Men’s Prayer group, Hear My Prayer, Global Mission Ministries, to name a few, formed. Notable outreach efforts to make the surrounding community hunger free include the monthly free community meal as well as a grant funded free grocery give away began. Energy efficient lighting was installed throughout the church facility and in the church parking lots. Monitors were installed in the narthex and the sanctuary. 2016 - Present -- The pastor’s conference room was outfitted with office furniture during the recent appointment of Rev. Tori Butler. Outside seating was installed and landscaping was improved. 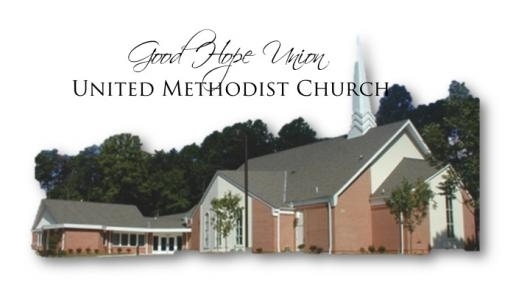 Good Hope Union continues to move onward and upward. * The information in this document is based on compilation of information from the church histories as recorded in Homecoming bulletins from 19---- 2017.